Nigeria Police recruitment – Applications are invited from suitably qualified Nigerians for enlistment into the Nigeria Police Force (NPF) as Constables (Recruits). The be qualified for the recruitment exercise, candidates must possess an O’ Level certificate with at least five credits level passes including Mathematics and English Language in not more than two sittings in WASSCE/GCE/NECO/NABTEB. The recruitment exercise is absolutely FREE! The Nigeria Police Force (NPF) invites applications from suitably qualified Nigerians for enlistment into the Nigeria Police Force as Police Constables (Recruits). The need by the present leadership to reposition the Force through capacity building calls for the recruitment of Police Officers of lower cadre into the Nigeria Police Force. In order to align with International standard and best practices and the United Nation Standard of Policing, the Force needs virile and dynamic police officers for better service delivery and mitigiating emerging security challenges. To this end, our goal is to ensure the safety of lives and property of the Nigeria citizens and make Nigeria safer and more secured for economic development and growth. 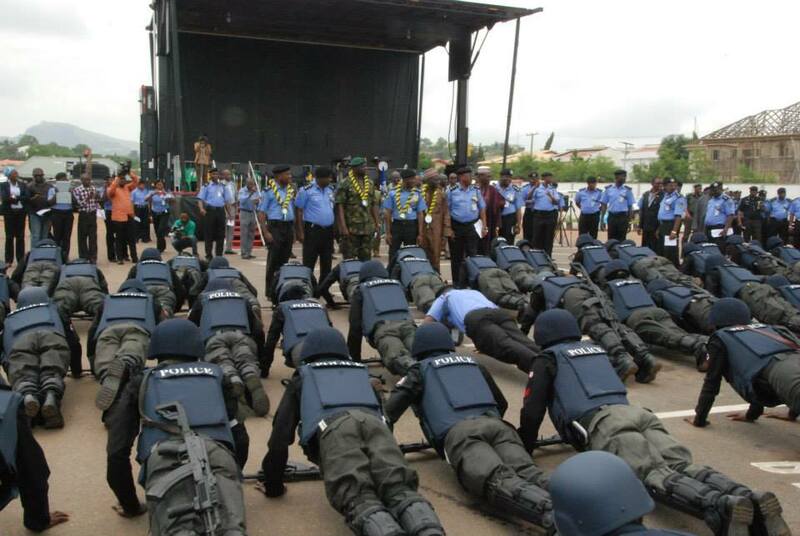 Nigeria Police Force Recruitment Eligibility & Requirements. Education: Must have an O’ Level certificate at least five credits level passes including Mathematics and English Language in not more than two sittings in WASSCE/GCE/NECO/NABTEB. Chest Measurement Must not have less than 86 cm (34 inches) expanded chest measurement (for men only). Physical Features: Must not have any one of the following abnormalities or deformities: Speech Impediment, Knock Knees, Bow Legs, Bent Knees, Flat Feet, Deformed Hands which cannot perform the full functions of the hand, Defective Eyesight or Squint Eyes, Amputation of any part of the body, Gross Malformation of teeth, Protruding Navel, Body Scars etc. Guarantors’ Form: Must download and fill the Guarantors’ Form, presenting verifiable references from any two (2) of the following: Traditional Rulers, Magistrate, Local Government Chairman, Heads of Educational Institutions attended. Career Civil Servant not below the rank of Grade Level 12, Police Officer not below the rank of CSP, or Military Officer not below the rank of Lieutenant Colonel. Possession of a valid National Drivers’ License is an added advantage. How to Apply for Nigeria Police Recruitment. Ensure that you print out the information that is sent automatically to your Email, and do not forget to copy and save your UNIQUE ID for future correspondences. The ID is case sensitive please. You would be required to present a hardcopy of this email message if you are shortlisted and contacted for the next stage of the recruitment process. Apply Before: 11th January, 2019. PLEASE SHARE THIS POST TO HELP OTHERS. Comment Text*I WANT BE A NIGERIAN POLICE FORCE IN ODER TO CONTROL THE PEOPLES AND THERE GOODS AND SERVICES THROUGH OUT THE LIFE MAY GOD HELP US TO BE THANK YOU GOD BLESS TO NIGERIA.